Cooma North: Why Live in Cooma North? Many of the homes at Cooma North are brick with a tile roof. They are traditional in design and the outskirts of the town enjoy a rural outlook. The variety of weatherboard, brick, tile, iron and cladded cottages or family homes give a buyer the oppotunity to pick the type of home that suits their lifestyle. The newer homes are architecturally designed, and a majority would be insulated with both air conditioning and wood fires due to the cold, winter climate. There are homes dating back to the 1880’s, that have been restored and convey historical appeal. Cooma’s CBD has many retail shops and craft stores. There is also speciality shops, antique shops, book stores, discount stores, electrical retailers, gift stores and health Stores to name a few. The area has many skiing and snowboarding shops, selling equipment and apparel. It is the main town of the Monaro region and has numerous facilities, always offering opportunities to discover a bargain. Monaro High School is Cooma’s only public high school, it serves the town and seven of the neighbouring rural towns and villages such as Berridale, Jindabyne, Nimmitabel, Bredbo and Dalgety. There is two public primary schools including Cooma Public School and Cooma North Public School, both providing education for students in kindergarten to year 6. There is a Roman Catholic school called St Patrick’s Parish School providing education from kindergarten to year 10. Cooma also has a private Christian school known as Snowy Mountains Christian School. TAFE NSW Illawarra Institute Cooma Campus provides further education. Cooma is 1.5 hours drive from Canberra, 4.5 hours from Sydney and 8 hours from Melbourne. It takes just under an hour to drive to Jindabyne and another 20 minutes to arrive at Perisher Blue and the ski fields. 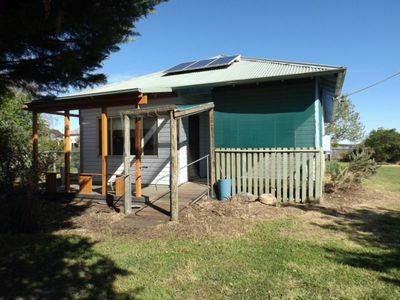 The area is serviced by Cooma – Snowy Mountains Airport which is 15 kilometres from the CBD. The town has a bus service connecting various areas of town three times a day, run by Cooma Coaches and is serviced by CountryLink buses that make daily journeys to both Canberra and the Bega Valley. There is a taxi service, the Cooma Radio Taxis. The town has many sports to play, activities to participate in and is not far from the snow. Some sports and activities include art classes, lessons and courses, art galleries, fly fishing, beautiful gardens and parks to visit, horse riding, horse riding lessons, joy flights and scenic flights, short tours and walking tours of the town. Dancing, squash, golf, horse racing, cycling and a swimming pool are also sports and activities that Cooma offers. There are numerous cafes and restaurants in Cooma. The cafes are littered around the CBD, many with outside table and chairs. The restaurants include modern Australian cuisine, Lebanese, Chinese, Club bistros, take-away shops and fast food outlets. Cooma Railway Station was opened in 1889, and rail services to Cooma ceased in 1988. Visitors can still experience the nostalgia of rail travel on a 1924 rail motor. The rail motor departs the historic railway station each weekend (varying seasonally), and travel north to Bunyan and Chakola. In the Centennial Park, a unique presentation of the history of the Monaro District, re-created in 40 ceramic mosaics which were constructed to commemorate Australia’s Bicentenary in 1988. It is free, available every day of the week and a must see in Cooma. The Snowy Mountains Hydro-Electric Scheme is one of the engineering wonders of the modern world. With seven power stations, two of which are underground, 16 major dams and over 140 kilometres of trans-mountain tunnels it is a symbol of Australian endeavour at its best. The Snowy Hydro Information and Education Centre is a state of the art visitor facility showcasing the amazing story of the Snowy Mountains Scheme from the early construction days to the role the Scheme plays today in the development of Australia. The centre houses a comprehensive exhibition hall that includes; a photographic collection, models, exhibits and interactive displays. The centre also has two theatres, souvenirs and maps. The Southern Cloud Memorial is dedicated to the airliner ‘Southern Cloud’, which was Australia’s greatest air mystery. On March 21, 1931 the three engine airplane disappeared without a trace on a flight from Sydney to Melbourne. It was Australia’s first big civil airline disaster. The mystery was finally unravelled 27 years later when the Snowy Mountains Hydro Scheme was in construction. On October 26, 1958, Tom Sonter a carpenter left his camp 15 miles from Happy Jacks and came upon rusted metal. The riddle of the Southern Cloud had been solved. The Southern Cloud lay on the South West side of the densely timbered mountain ridge of the now Kosciuszko National Park. Cooma is the main town of the Monaro region. It is 800 metres (2,620 ft) above sea level. The name could have derived from an Aboriginal word Coombah, meaning ‘open country’. Cooma was explored by Captain J.M. Currie in 1823. It was first surveyed in 1840 and it was proclaimed a municipality in 1879. The railway from Sydney was extended from Royalla to Cooma in 1889 and closed in 1986. In 1949, the town became the headquarters of the Snowy Mountains Scheme and grew rapidly. In 1959 the tenth anniversary of the scheme was celebrated with the erection of an avenue of flags representing the 27 nationalities of people working on the scheme. Cooma has developed a growing tourism industry as it became the main rest stop for many travellers heading to the NSW snow fields during the winter months. As a result, the town nicknamed itself the ‘Gateway to the Snowy Mountains’. So if you are looking for Cooma North Real Estate, why not talk to one of our sales team at Fisk and Nagle.